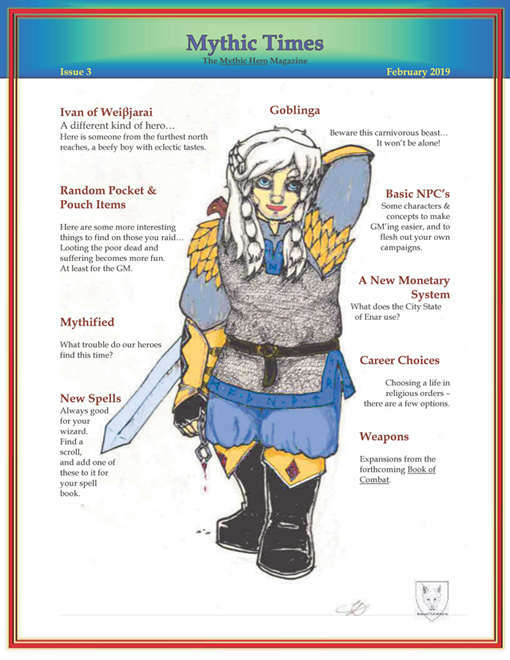 Designed for the Mythic Hero game system this magazine includes a new creature, new spells, some roleplaying advice, a new monetary system, new career, weapons from the combat system expansion, NPC's, and a hero profile - Ivan Thurisaz. And some useful random item tables that can work with any game system. Much of what is in here can easily be used or adapted to any fantasy RPG system. This title was added to our catalog on February 22, 2019.